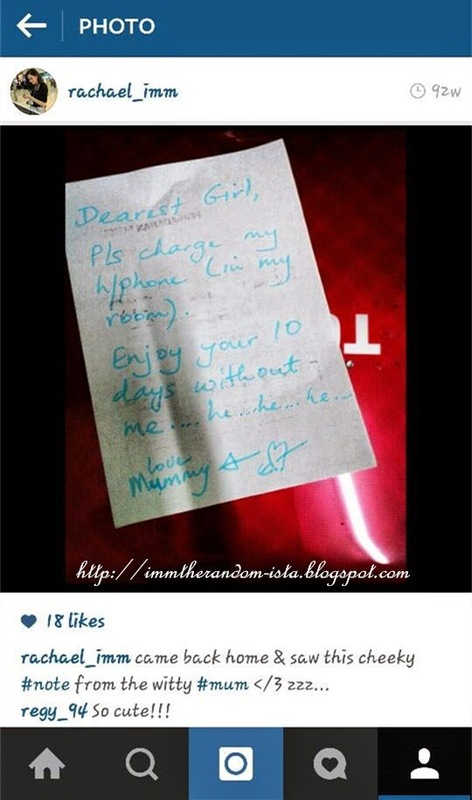 http://immtherandom-ista.blogspot.com: Blogging My Way to Taiwan - Will the Dream Come True? Blogging My Way to Taiwan - Will the Dream Come True? Whenever I hear the word Taiwan their travel to Taiwan's promotional song will always pop up in my head. 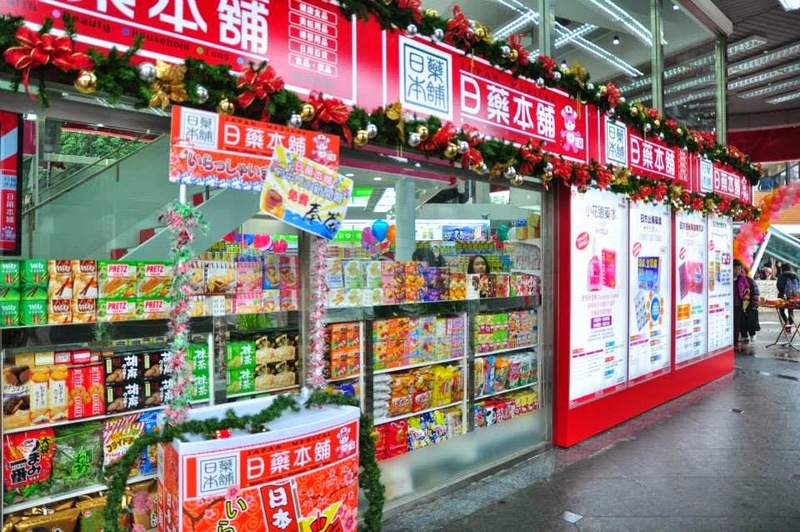 That is probably how much I yearn to visit Taiwan ever since I started paying attention to whatever that remarkable place for foodies and shopping heaven for shopaholics has to offer. From doing random research to in depth research especially for food and must visit places, things got even more intense when I missed the opportunity to travel with mum to Taiwan due to mid terms two years ago. You know how sad it is when your mum wanted to bring you along to your favourite place and YOU CAN'T GO!!!??? What's worst when someone is trying to act funny when you have to stay back to host an event, face the anxiety to emcee for the very first time while dealing with all the hectic mid terms and assignments *sighs* and I am thankful to survive all those. Back to the main point of me wanting to go to Taiwan eagerly is to have TIME FOR FOOD, if you guys know me in person you guys must have already get to know my inner foodie. Through TV programs I have always seen Taiwan being showcased as one of the major food heaven that offers small eats of Taiwan and tantalizing gourmets which always made my mouth water (so pathetic, I only can see, can listen to people describe about the food over there but still have no chance to feast T.T). Being an avid fan of street food, as the years passed my list for street food that I wanted to personally fly to Taiwan to feast gets longer and longer. Street food does not sound exactly hygienic but then it is a blessing to have the chance to walk down the happening night market and experience the local cuisines which some of them are just made of very basic ingredients yet still remain 色香味俱全 which literally means vibrant, aromatic and tasty. 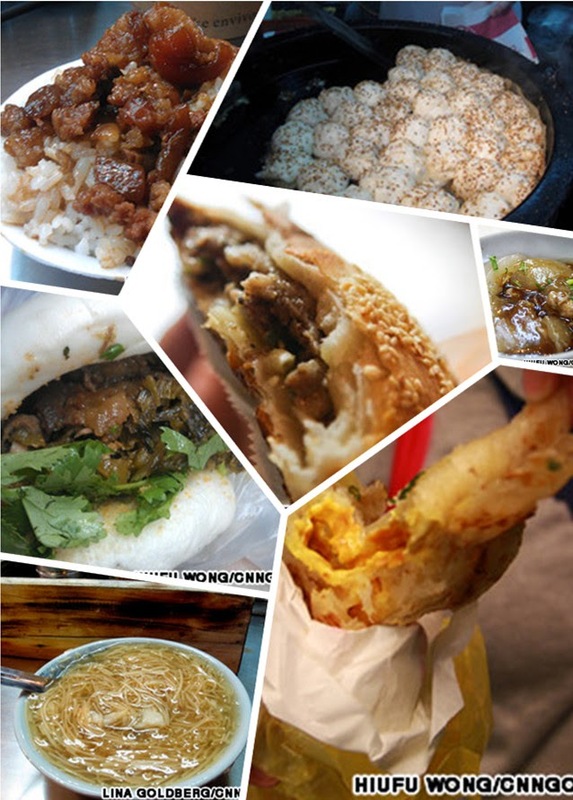 Here are some of my personal list of must-try Taiwan delicacies, for main is the Braised pork rice (滷肉飯). Although I do not really like eating rice and have already tried this particular dish over here I really wish to be able to taste this dish at the country of origin since it is said to be one of the comfort food over there. Not to mention that I would actually just put any sort of snacks or food that seem interesting and unique to awaken my adventurous taste buds even more. Disclaimer: I do not own any photo starting from this point, all materials were adapted from online sources. 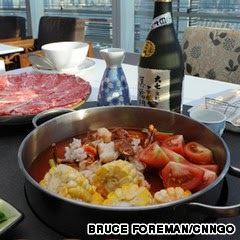 Hotpot! Heard that Taiwanese love hotpot which have various dipping sauces which made it specially joyous to savour during family reunions or gatherings due to its variety and portion that is made to share which made dining more fun. Having such meal can actually gather everyone along for involvement to cook (cuz you gotta dump in those ingredients you want to eat) as well as to chatter along instead of just gobbling down your food in a hurry. Pig’s blood rice pudding (豬血米糕) may sound disgusting especially those who do not eat any extraordinary parts of the pig but then to me that is not really a problem. 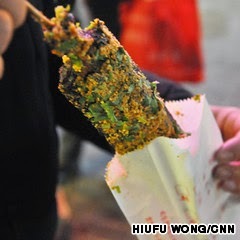 Saw this on CNN's article and I came to presume that this is something like the very famous blood sausage of Korea? Do let me know if you guys have tasted this before or keep your fingers crossed that I will taste that on behalf on you guys and review it. 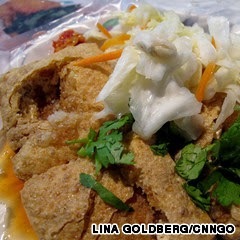 Stinky tofu (臭豆腐) is my most wanting to have snacks!!!! Have been missing this since it has been ages since the last time I got to indulge in this flavourful bean curd. 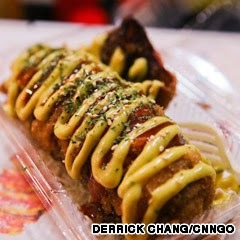 Always wonder how impressive the Cuttlefish (花枝) would be like after seeing this dish being introduced on 你猜你猜你猜猜猜. 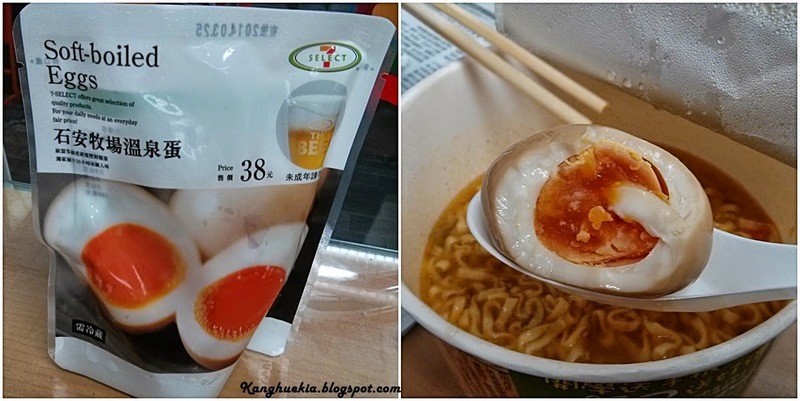 Tried in over here in Penang and it was rather disappointing, perhaps Taiwan could do justice to this snack. Last but not least desserts is a must to end the feast gracefully. 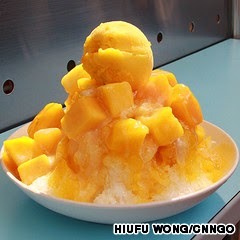 Shaved ice mountain (刨冰山) is probably my favourite Taiwanese dessert up till now. 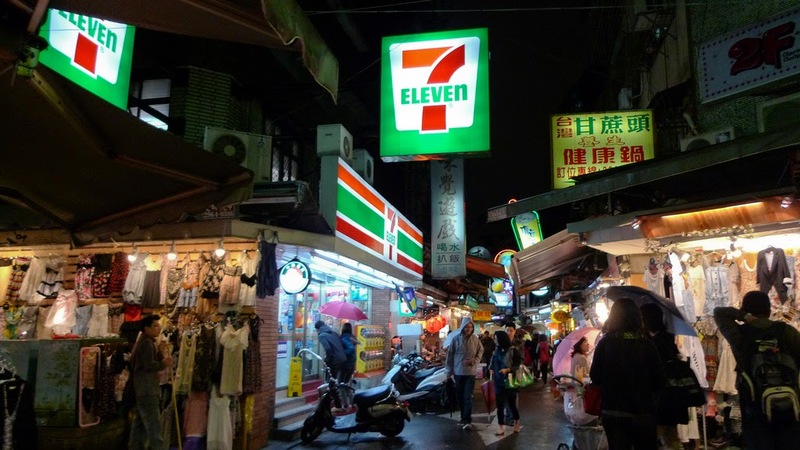 Aside from street food I am also always hoping to explore their 7-Eleven and probably grab some quick bites? Heard from many who have travelled to 7-Eleven outside of Malaysia and majority of them will be raving about how convenient their services are for a quick yet hearty meal. Personally seen programs showing their local students hanging out for discussions at 7-Eleven which is something that could not be seen in Malaysia since nobody really bother to hangout at a only sell hypermarket stuffs convenient store with no seating space. Their TVC is so impressive!! No I am not sponsored to write this but please watch it to get what I mean. If such services are provided over here I might as well hang around such area instead of the library to study, read a book or even have group discussions during long class break hours. Too bad we do not have such economical convenience over here, the most appropriate place we have are cafes which are pricier and chilling there everyday would have created a big hole in the pocket. 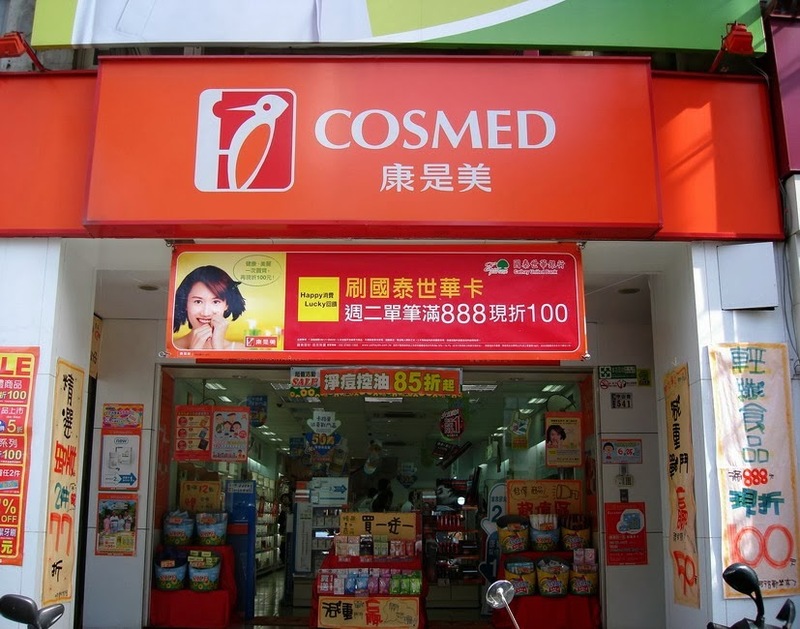 Taiwan has it all for masks ranging from super economical price till premium sheet mask, gel mask etc. 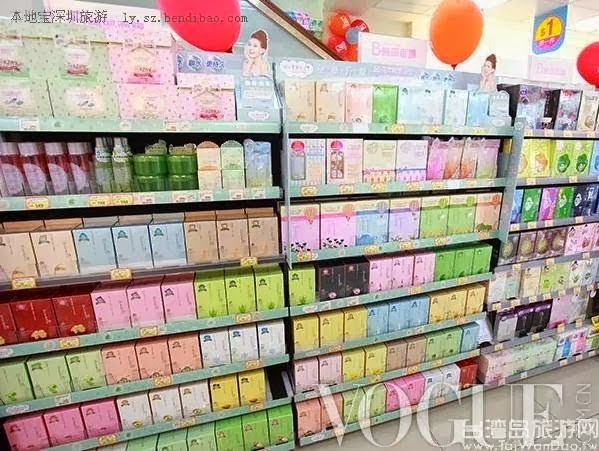 Thankful that mum got me few dozens during her visit but if I were to personally lay my footsteps in Taiwan, I will most probably come back with LOL ONE YEAR SUPPLY LOL of masks and not forgetting to mention stocking up all my skincare and cosmetics so that I do not have to worry about running out of supply for the rest of the days. SHOUT OUT to Taiwan! Please accept my visitation because having me over here is good for your economy. *giggles*chuckles* Guess I am not really kidding and good luck to the future people whom are gonna accompany me to Taiwan, expect me to depart with one luggage and probably come back with two extras of fully packed goods. 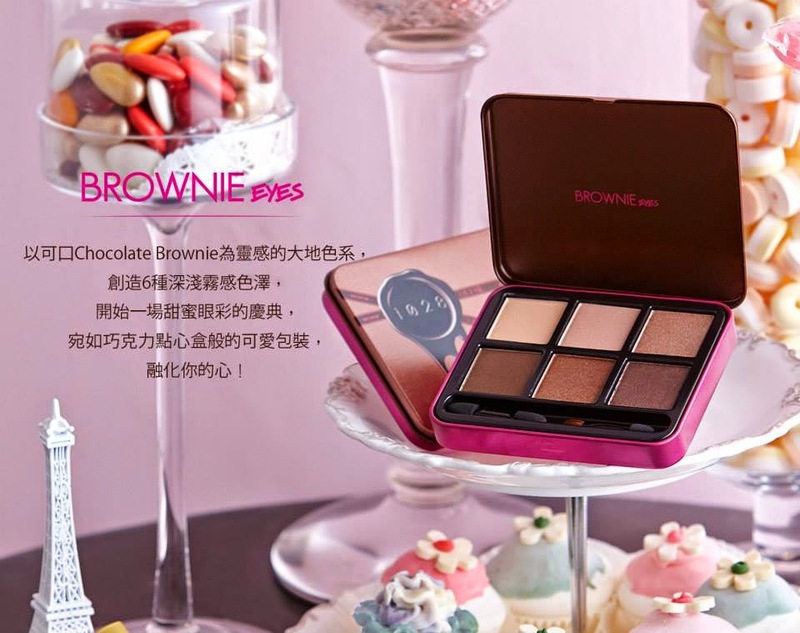 Heard many great reviews from YouTubers about this reasonable yet super pigmented eye shadows but I do not think I have seen this brand over here yet but I am aware that it is a Taiwanese brand. Thus, adding it on to my wishlist! WIll try to host a blog giveaway as a token of appreciation (if and only if I am able to win this exclusivity) to people like you readers who sacrifices your precious time here, do stay tuned and keep your fingers crossed but whatever it is I would like to sincerely thank you guys who are currently reading my blog. Felt a little guilty to say this but I have to admit that the number of page views is somewhat a motivation for me to keep blogging and not losing such a beneficial passion which I would say is compensatory to my well-being and process of non stop enriching myself with more not in the syllabus knowledge. Really sorry for the lacking of updates since life have been pretty restless lately. Throughout this period I was too fatigue to even look for inspirations to blog and if they do strike I did not really made the effort to jot down before it vanished into the thin air. Being an imperfect person yet a perfectionist it will be the last thing on earth for me to simply post something for the sake of posting. So in the mean time please just tolerate with quality over quantity :P promise to be back with more awesomeness after I am done with Diploma. 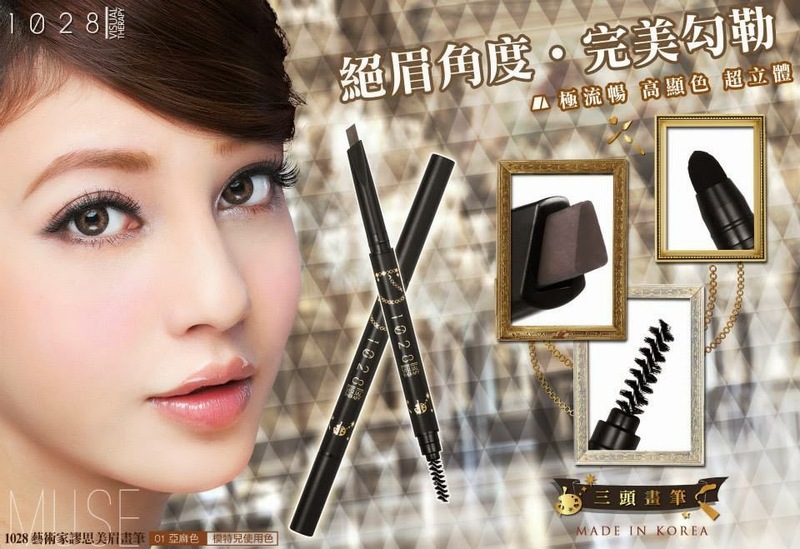 LOHAS - Lifestyle of Health and Sustainability has rose to its popularity throughout the world.
" 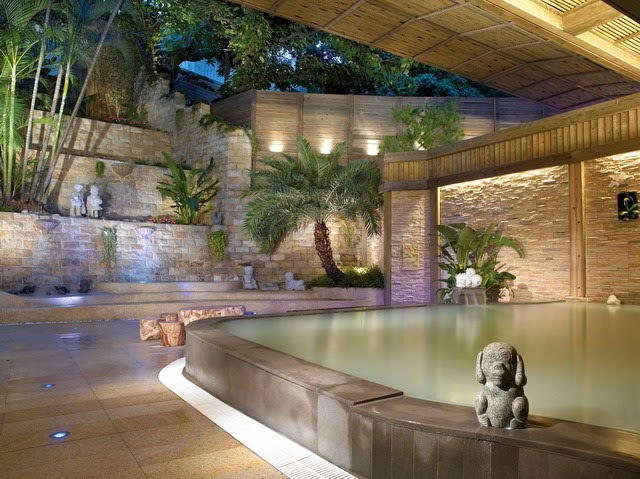 Come to Taiwan and feel “LOHAS” the Taiwanese way, in the island’s cuisines, sports, leisure activities, and traditional health care therapies. 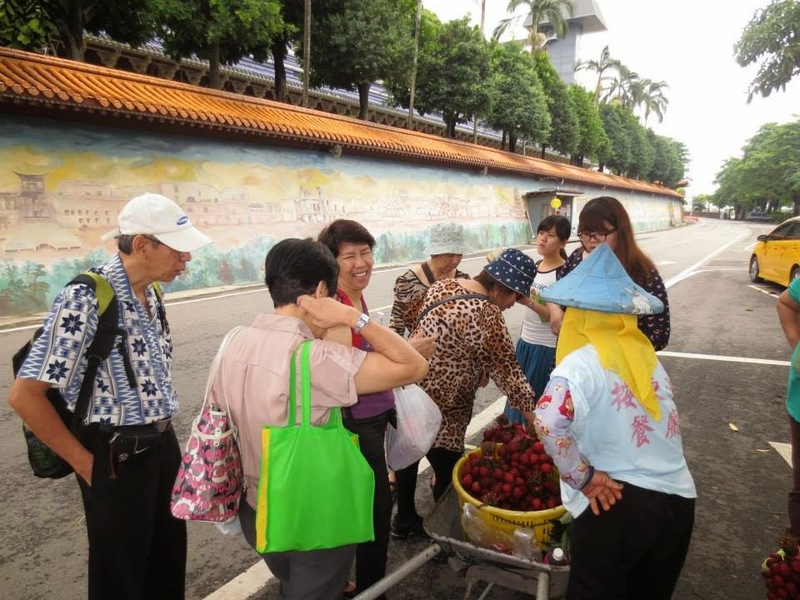 Heard from mum that they toured around and went for temple food when she was at Taiwan but never knew that Taiwan also offers so many interesting activities to sooth the mind, body and soul which is something that I have been wanting to seek for after undergoing this restless and unbalanced lifestyle. May sound old saying this but whatever after all I am also not that young already since I am turning twenty one times wiser in this coming June. Inner peace is much required to allow inspirations to flow in which I am rather annoyed as these days I notice that I am having lesser time for myself. Perhaps I should take a break from the overwhelming involvement after my final Diploma battle so that I will have more strength to survive this marathon. Often day dream or fantasize about me spending time without any noise (that irritates me a lot especially when I am figuring out things), instrumental music or any other non lyrical tunes (I do listen to "Reiki" and classical from Beethoven, Yiruma, Pachelbel used to play some musical instruments in high school but too bad I am master of none) a good book (have not read much books for the pass years and that is bad for my language proficiency! 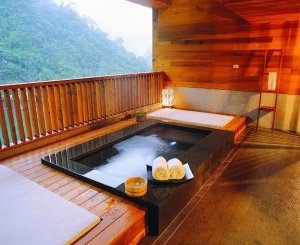 ), healthy and 清淡 delicacies and at best a beautiful scenery. So I came to setting my annual resolutions during earlier this year when I was making another life changing decision and Yoga and Meditation happened to be in my long list. Even spoke to one of my best friend who did Yoga and she said it was not easy as seen at all so I am still wondering of how to inculcate this healthy practice into my lifestyle? 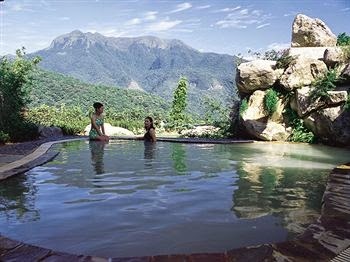 SPA & Hot Springs!?!! Simply an upgraded lifestyle of just soaking your entire body in a bathtub. "Although I may not be the best but I just want to give my best & with the efforts I put it hopefully I'll get what I deserve"
Signing off with fingers crossed!